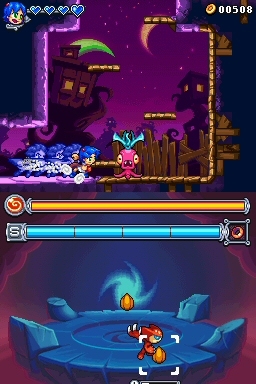 Monster Tale is a title developed by the team that made Henry Hatsworth and the Puzzling Adventure for the Nintendo DS. Monster Tale revolves around a girl named Ellie and her little monster friend, Chomp. Ellie accidentally finds the Monster World and befriends Chomp, and both eventually discover that a group of mean kids is using other monsters to do all sorts of evil things. It will be up to Ellie and Chomp to stop them and restore Monster World back to normal. 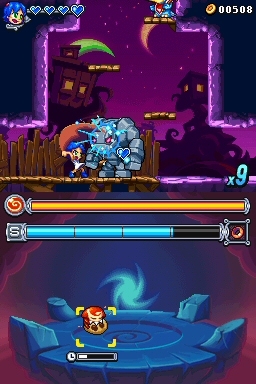 The gameplay takes place through five non-linear worlds, mostly on the top screen, as you control Ellie in 2D platform environments. The touch screen is your Pet Sanctuary, which is your monster raising screen, where you can give Chomp food, toys and equipment that you find or purchase. 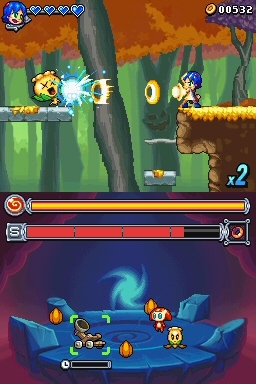 As Ellie finds things in the upper screen, Chomp will use them on the bottom screen. He goes through changes, evolves and transforms according to the items you give him, which reminds me of how we raised a MAG in Phantasy Star Online. 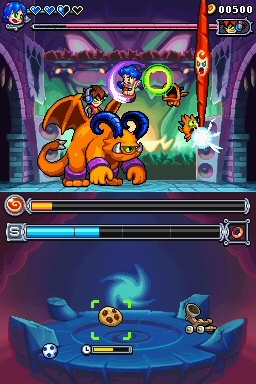 Chomp has about 30 different forms, and each has unique abilities that will help Ellie progress through the Monster World: you can summon him to the top screen and use him a shield or have him reach areas that otherwise you can't, he can place bombs or attack enemies, even transform into useful objects. 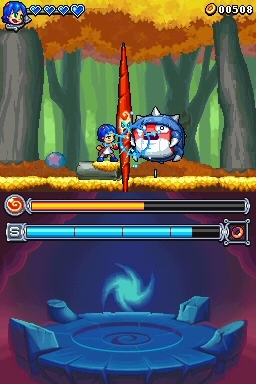 Sometimes, enemies will go down to the touch screen and attack Chomp as well. 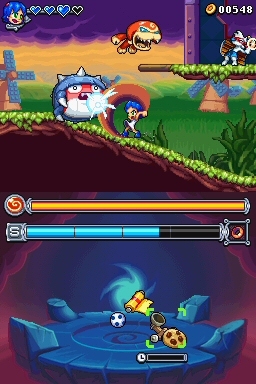 Chomp doesn't actually die, but he can be knocked out. 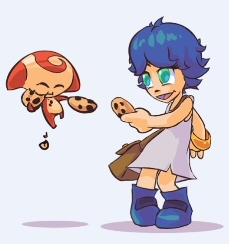 Ellie can also gain abilities and become a more effective fighter as you purchase upgrades like abilities (dash or roll) and stat enhancements. 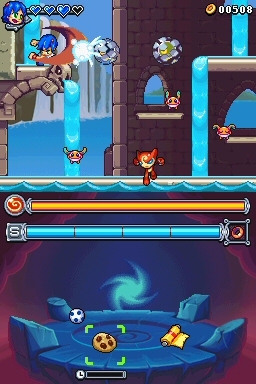 Monster Tale has a classic feel to it, which should appeal to a wide range of people. 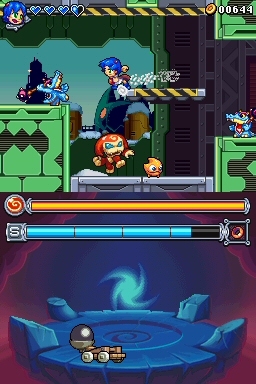 I noticed some elements resembling Metroid, Super Mario Bros., Tetris and Castlevania (the map is just like in Symphony of the Night, with the visited/unvisited areas showing in blue and gray). Monster Tale is scheduled to come out this Holiday season, at a price point of $29.99.